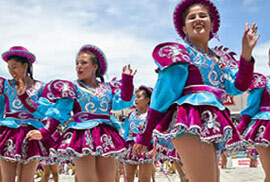 Discover the colorful Virgen de la Candelaria Celebrations! Every February the city Puno transforms in the folkloric capital of Peru when the Festival de la Candelaria os celebrated. 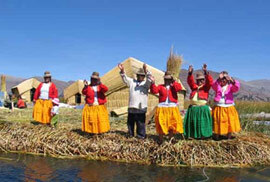 For a week the city close to the Lake Titicaca turns into a big Festival with visitors from all over the world. 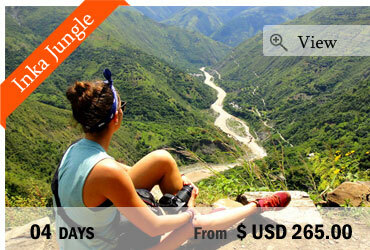 It honors the Virgen de la Candelaria also called Mamacha Candelaria, the saint of the city. La Candelaria is one of Peru’s biggest and most colorful folkloric festivals and is very important for the south part of the country. Come and enjoy the colorful dances, traditional music and the unique experience! 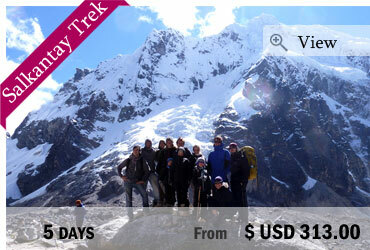 We will pick you up at your hotel in order to take the bus to Puno. Here you take part in the different festivities. Indeed, you would have the opportunity to see more than 100 different traditional dances coming from the Andes and the Altiplano and from different periods of time, like the pre Columbian, colonial times. The most famous dance is the “Diablada”, the Devil dance. It was created by miners trapped in a mine who prayed desperately the Virgin. The legend says that they saw an army of demons taking them to the flames. Since now, the miners pray to La Candelaria for their safe return. The dance is the representation of that scene, the fight between good and bad. All the costumes used during the dance are true masterpieces and definitely worth a visit. 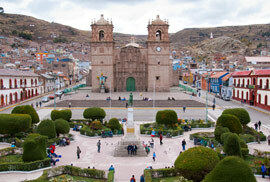 Overnight we will stay in a hostel in Puno. Today, you discover the festivities at your own pace and enjoy the buzzing city. 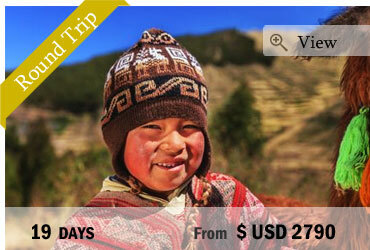 You will spend the night in Puno.